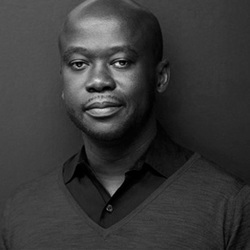 ﻿David Adjaye OBE is recognised as a leading architect of his generation. Adjaye was born in Tanzania to Ghanaian parents and his influences range from contemporary art, music and science to African art forms and the civic life of cities. In 1994 he set up his first office, where his ingenious use of materials and his sculptural ability established him as an architect with an artist’s sensibility and vision.